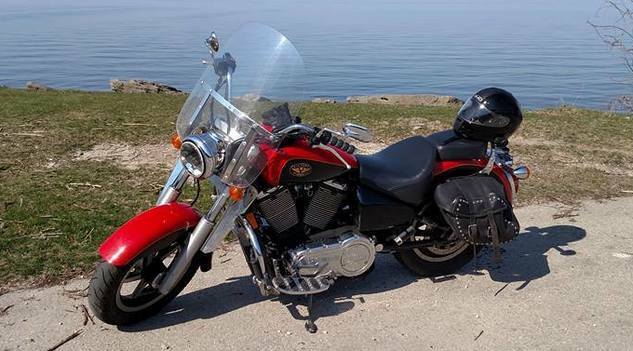 "It totally changed my bike, easier shifting, quieter engine, no lugging noise in 5th gear. Really the best oil in a Victory." "My experience with AMSOIL products was so profound that I became an independent Dealer and have had the pleasure of sharing its benefits with many family members, friends and customers over the last few years, along with all the ways Dealers can make money for supplemental income." Team owner Scheuring credits AMSOIL DOMINATOR® Synthetic 2-Stroke Racing Oil with saving his engine. Jerry Pruett has learned firsthand how good AMSOIL synthetic diesel oil protects in severe conditions. He was changing his by-pass filter last winter, and it was cold and he was in a hurry. He accidently left the O-ring behind on the filter mount, which prevented the new filter from seating properly. “About four miles down the road, the oil-pressure light came on,” he said. “Sure enough, I found an oily mess by the by-pass filter.” Fortunately, Pruett always carries four gallons of oil with him. The truck required the entire four gallons to register oil on the dipstick. His engine has suffered no ill effects, however. “With any other oil, I’d probably be overhauling the truck,” Pruett said.